Is there any way to measure the time it takes for plugins to load and in which pages they load (without figuring out the entire code)? In addition, I would like to find out which plugins load files in which pages and find the ones that load on irrelevant ones. Yes, Plugins effect site loading time. There are many poorly written Plugins that make unnecessary database queries and load numerous files to the page. To see what extra files are being loaded you can simply view source or use the net tab on Firebug. Another good way to find external files loaded by plugins is to use W3 Total Cache's minify help wizard. The wizard scans your theme and plugins and recommends the ones to combine and minify and for what page to load them on. This will allow you to view the source of each page and see how many queries are being made and how long it takes to make them. Of course this won't tell you what Plugin is responsible for the queries but allows you to do testing while disabling and activating different combinations. That said, be aware that using tons of plugins does affect your site's performance... You can easily measure that using benchmarking tools such as siege (http://www.joedog.org/index/siege-home). Also, never lose sight that WP itself is a sluggish resource hog. You can micro-optimize a few milliseconds out of page load times, but considering any verbatim WP loads in 100ms or more to start with, rather than the more typical 10-40ms for apps written using a good php framework, I personally wouldn't bother. Not the answer you're looking for? 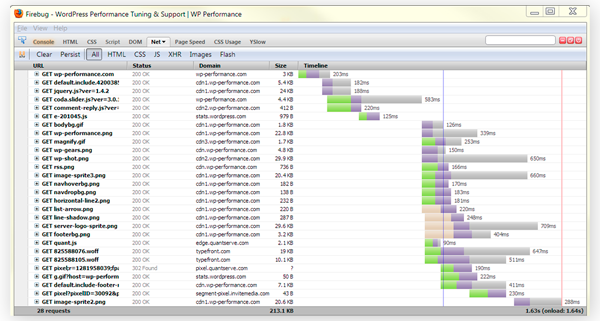 Browse other questions tagged plugins performance or ask your own question. 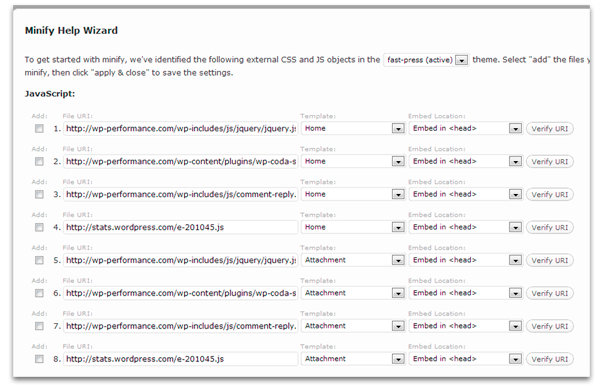 What other plugins are there available to track app performance for wordpress? Is wp_deregister_script the best way to deal with unneeded plugins in a page?